French President warns Trump against unilaterally recognizing Jerusalem as the capital of Israel. French President Emmanuel Macron told U.S. President Donald Trump on Monday that he was concerned about the possibility that the United States could recognize Jerusalem as the capital of Israel, Macron’s office said in a statement quoted by Reuters. “The French President expressed his concern over the possibility that the United States would unilaterally recognize Jerusalem as the capital of Israel,” the statement said following Macron and Trump’s telephone call. “Mr. 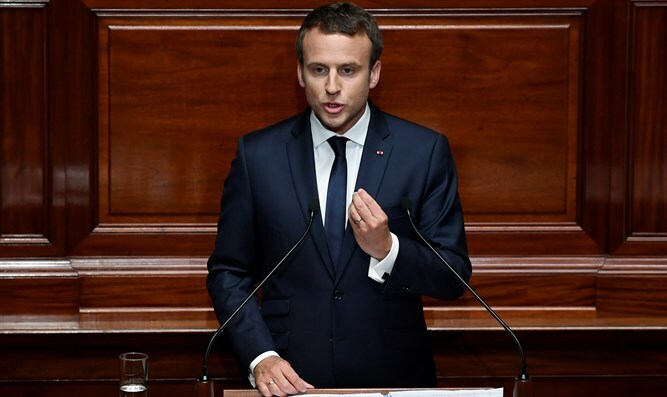 Emmanuel Macron reaffirmed that the question of Jerusalem’s status had to be dealt with in the framework of peace negotiations between Israelis and Palestinians, with the aim in particular to establish two countries, Israel and Palestine, living in peace and security side by side with Jerusalem as capital,” the statement added. The phone call between the two came amid reports that the Trump administration is preparing for a major change in U.S. policy vis-à-vis the Israeli capital city, with either an announcement on the relocation of the embassy from Tel Aviv to Jerusalem, or formal recognition of the city as Israel’s capital. As for the embassy move, the president decided on Monday to delay a decision on whether to sign a waiver delaying the move for six months. Every president since 1995 – including Trump himself this past June – has signed the waiver.